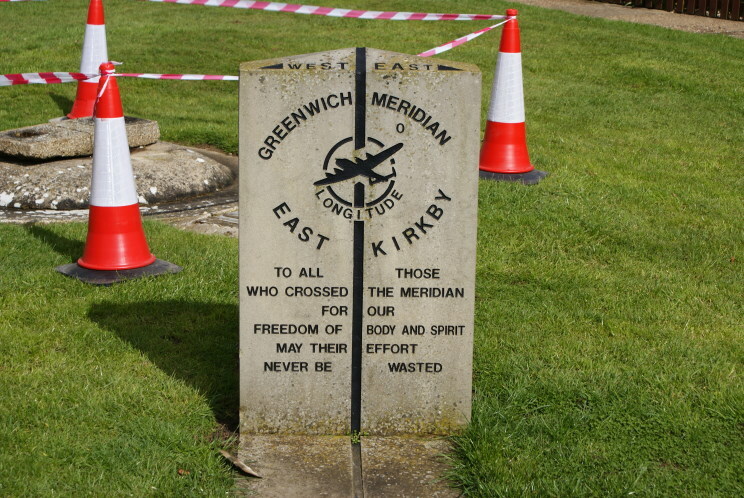 The Greenwich Meridian at the Lincolnshire Aviation Heritage Center at R.A.F. East Kirkby, Lincolnshire, England. marks the Prime Meridian of the World (0° longitude) and stands as a memorial to those who crossed the meridian to fight for freedom. 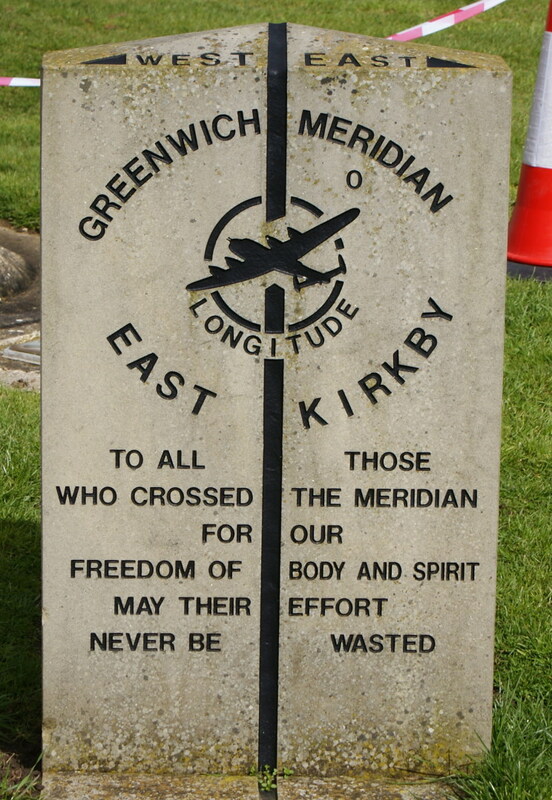 Close-up of the Greenwich Meridian.